plastic-crate.com stocks a selection of plastic parts bins for use in various industries,wholesale plastic parts bins directly from Chinese manufacturer,enjoy the low price and high quality. Our Spare Parts Tray is a versatile storage solution. It features plastic dividers that can be used to organise and store anything from nails, bolts, nuts or tool parts. The Spare Parts Trays can be used on their own or inside racking you already have. It has removable dividers to suit your storage needs. Our plastic storage bins can be used as hardware trays to store different hardware components like computer peripherals and tool parts. Alternatively, you can use them to store and catalogue important documents on your desk or keep various machine parts tidy in your garage. 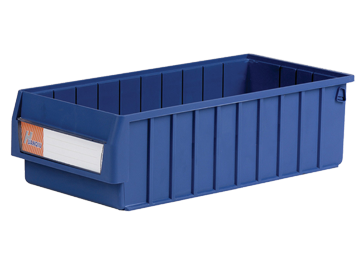 Depending on your requirements, our excellent storage trays have no shortage of uses and applications. Storage tray for sorting parts and pieces. Great for displays in shops and fit outs inside vans. Easy grab handles to pull forward when on shelves. Good value and quailty storage solution.